Improve your Spanish: 5 websites to make it happen. No one can argue that the use of internet in Spanish classes is becoming more and more regular. The guilty part in this change has been the inclusion of new technologies inside the classrooms. 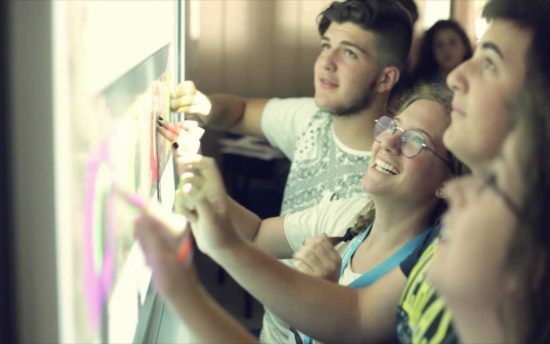 Being able to use them during the lessons has has provided a one-of-a-kind context where there is no excuse when it comes to using multimedia resources such as videos or songs, just one click away. The importance of digital resources for improving your Spanish. 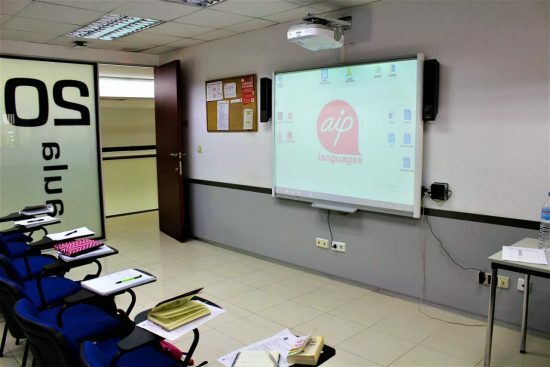 Things are very easy for us at AIP Language Institute thanks to the use of interactive whiteboards (SmartBoard) in every classroom. Why is that? Because these allow us to use a wide range of online resources within the classroom, and easily integrate them to the class dynamic. Some of these resources are pretty useful in order to take learning Spanish to the next level, and those are the ones we want to share with you in this post. All the resources listed below have been properly tested by our teachers in their lessons and have been proven for their efficiency and performance. So, rest assured that, regardless of your goals, these five online resources will live up to your expectations. This website has all types of resources to learn and practice Spanish: grammar exercises, vocabulary, audiovisual comprehension exercises… Besides, its content is updated very often and its catalogue of exercises is constantly renewed. Ver-taal is the perfect complement to strengthen everything you’ve learned during the lessons on your own. Do you enjoy listening to music? Are you one of those who just loses it at Karaoke? If any of those answers is yes, then this is the perfect resource for you: let the star inside of you shine through. And don’t miss the main point here, you will be having fun while practicing Spanish. What’s great about Lyrics Training is that you don’t just listen to the song. While you’re listening to your new favourite song, you have to fill in the gaps (if you choose writing mode) or pick the right word for each gap (if you choose selection mode). Besides, they now have a karaoke version so that you can sing in Spanish and have fun at the same time. At AIP Language Institute we have even put together a contest to find out who’s the best singer from among our students! “Cómo dice que dijo”: Hone your Spanish level. How many times have you had the doubt of whether it is “Hay” or “Ahí”, “hecho” or “echo”? Quite a few, right? These homophones usually lead many of our students to confusion; the difference between one word and another is, to say the least, abysmal. Well then, if you are the type of person who likes to keep things straight, and you want to know the difference between these words, then you must play “Cómo dice que dijo”. We’ve been using this resource in our classes with wonderful results; making teams compete against each other to obtain the highest number of possible answers. We couldn’t have asked for better results. Akinator: increase your vocabulary in Spanish. This fun game consists of thinking about a character and then, Akinator will try to guess who that character is by asking questions. This resource has shown its great potential when students answer the proposed questions in order to guide Akinator towards the right answer. Just like the famous game “Guess who?”, Akinator can improve your description skills while you have fun and expand your basic vocabulary about professions, physical traits…. It’s the perfect tool to get better at description while having fun! Geoguessr: practice the subjunctive of probability. Isn’t it difficult to make assumptions in another language? Don’t we know it! It’s pretty hard to get the gist of the subjunctive in Spanish, as well as talking about probability. But that’s what Geoguessr is for. How does it work? Using the Google maps tool, this game randomly pinpoints you somewhere in the planet, without telling you or giving you any clues; just the navigation options. With the help of the mouse and keyboard, you will have to check our surroundings, the buildings, streets, cars… in order to deduce which country you are located in. The closer you get to your fake location, the more points you will obtain. You can also choose options like landmarks from around the world or even adapt your own maps, making the game a bit more personal. The internet, your best ally to improve your Spanish. And there you go with our 5 favourite resources to improve your level of Spanish. With these we have obtained great results in our lessons and we have given students a one-of-a-kind and fun learning experience. Indeed, you’ll find many more on the internet. 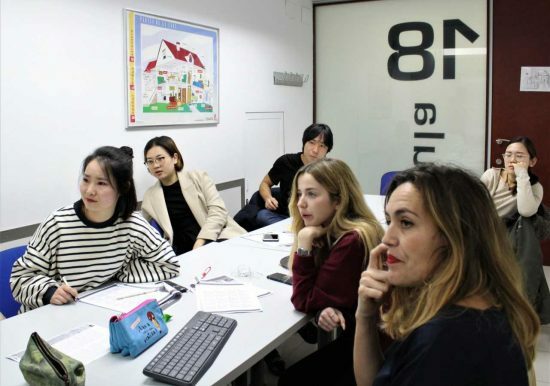 But, from AIP Language Institute, we would really love you to give our findings a try. Once you do, leave a comment and if you find any others, let us know!